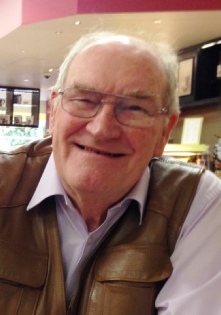 Stan was admitted to Truro Hospital in late July 2017 with an aneurysm whilst visiting family in Dorset. Sadly, he did not recover and passed a few days later. He is survived by his loving family and a host of friends. Stan was a staunch supporter of everything 84th and attended every major reunion we held and all of the minor reunions in East Anglia. He will be sorely missed by all of us. Very sad to hear of Stan's passing. RIP buddy. My sincere condolences to the family of Stan Folds for their sad loss and sadness for the loss of a long ago friend of mine. RIP Stan. Rest in peace Stan....a life lived to the full. So sorry to hear about Stan. I met him so many time throughout our respective careers and he was always happy, enthusiastic and full of good sailing yarns. Stan was a really nice guy and will be sadly missed. Tony Beard: I’m very upset to hear about Stan – he was a great character, always at ease with all he met and we will miss his humour and presence at the next Reunion. Stan was a loyal supporter of the 84th group and helped me a lot over the years with comments and details about our website. I shall miss his ever pleasant company and his contributions large and small to the website. I could always expect him to chip in with something useful.